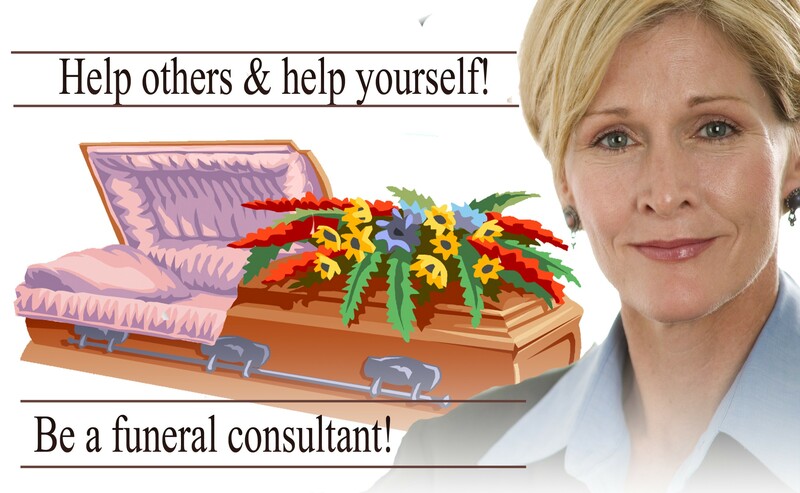 Perhaps you have never heard of a Funeral Consultant? Well, even if you haven’t, you probably agree that when it comes to life’s most significant and difficult choices, seeking professional guidance and help is an excellent idea. You probably also agree that professional planners, such as wedding planners, can be sanity savers. Let’s take a wedding for example. Lots of people would rather hire a wedding coordinator than take a go at it on their own. Why? Because they want an expert to help them as they deal with a large number of emotional and economic decisions in planning this essential once-in-a-lifetime event. Weddings are often planned within a 6-12 month timeframe. However, planning a funeral is usually done in just a 24 to 48-hour timeframe, and involves making more than 50 important decisions. Most people when confronted with having to plan a funeral realize they are uncomfortable and unprepared. Funeral consultants are professionally engaged, but not emotionally attached to the deceased so can help a family remain within a budget, get past some difficult decisions in a timely fashion, and show families many options they might not consider on their own. In a recent survey of one small community’s funeral homes and cemeteries, a cremation began at $710 at one organization, but cost around $3,820 at yet another. Likewise, direct burial charges ranged from $1,695 to $4,455. The same casket charge was $996 at one place, but $4,200 at another. In this particular survey, there were 15 funeral residences and 13 major cemeteries. So how would a family know how to choose from one of them? The solution is simple. Consider choosing a Funeral Consultant. The reality of the ‘arrangement visit’ is that one has to get dressed up, go to a funeral home (which one? ), and spend a couple of hours seated before someone who has everything to gain by you spending lots of money and choose from the few options you are typically offered (eg Package A? B? C?). With a concierge funeral consultant the family can sit around their dining room table (or in the consultant’s office), dressed comfortably, and see ALL their options and what they will cost at each of the area’s funeral homes. They can set a budget without being made to feel cheap or have it insinuated that the amount they choose to spend somehow indicates how much they care for the deceased. They can discuss among themselves and entertain a range of options if they wish, with no one pressing them to hurry. Most importantly, they can go to the actual arrangement visit knowing they have been shown all their options, weighed each before making their selections, know what they want and how they’ll pay for it. If needed, though usually at a nominal additional fee, the consultant can go with the family to the arrangement visit or even conduct the visit in their stead.